Mostly cloudy with some showers in the afternoon. Thunder possible. High near 55F. Winds ESE at 10 to 20 mph. Chance of rain 40%.. Rain showers early mixing with snow showers late. Low 37F. Winds ESE at 10 to 15 mph. Chance of precip 60%. 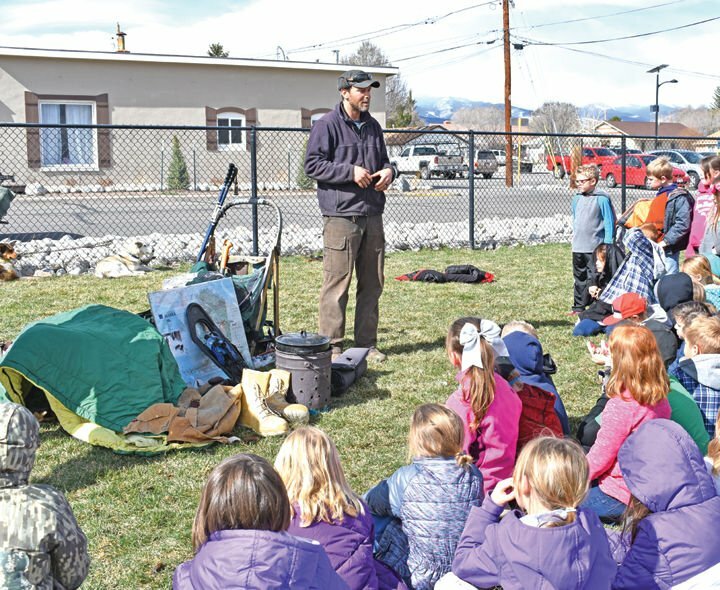 Caleb Hathaway, owner of Monarch Dog Sled Rides, demonstrates dog sledding equipment for an overnight trip to second-graders Thursday at Longfellow Elementary School. Hathaway and fellow musher Caleb Awe visited the school to teach students about the dogs and the sport of dog sledding. 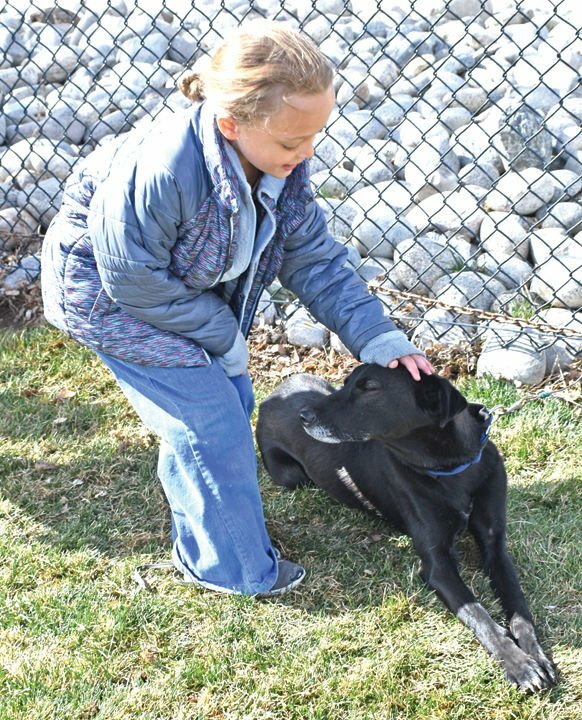 Ruby Kaisner, 8, makes friends with sled dog Snickers Thursday at Longfellow Elementary School. Caleb Hathaway, owner of Monarch Dog Sled Rides, brought the dogs to visit second-graders and teach them a little about dog sledding and its history. Dog sledder Caleb Awe shows second-graders an old-style dog harness from the early days of dog sledding in Alaska and the Yukon Territory. The original harnesses were made of leather and designed after horse harnesses. Modern harnesses are much lighter and take into account the dogs’ build and movement. Longfellow Elementary School second-graders received an Alaskan history lesson Thursday morning as Monarch Dog Sled Rides owner Caleb Hathaway and fellow musher Caleb Awe introduced some of their dogs and demonstrated dog sledding equipment. Teacher Charlie Verhoeven said the kids had read about Balto, the lead sled dog on the last leg of the 1,000-mile 1925 race to take serum to Nome, Alaska, during a diphtheria epidemic. That route is now recreated every year with the Iditarod race, which Verhoeven said the kids had also studied. Hathaway showed historical photos and related the history of sled dogs in Alaska and the Yukon Territory during the Klondike gold rush where large dogs were used to haul heavy loads. He explained that these days, sled dogs are smaller and faster and used for racing and recreation. Awe demonstrated old and modern dog sled equipment and how to harness the dogs. Several students had the opportunity to “harness up” and pretend to be sled dogs, learning commands to “gee” to the right and “haw” to the left and “whoa” while Hathaway acted as musher. Hathaway said the trip to the elementary school is usually about the end of the season, in mid-April, but with this year’s heavy snows, they might be able to run a little longer before shutting down operations for the season.